It’s time to stop judging ourselves. 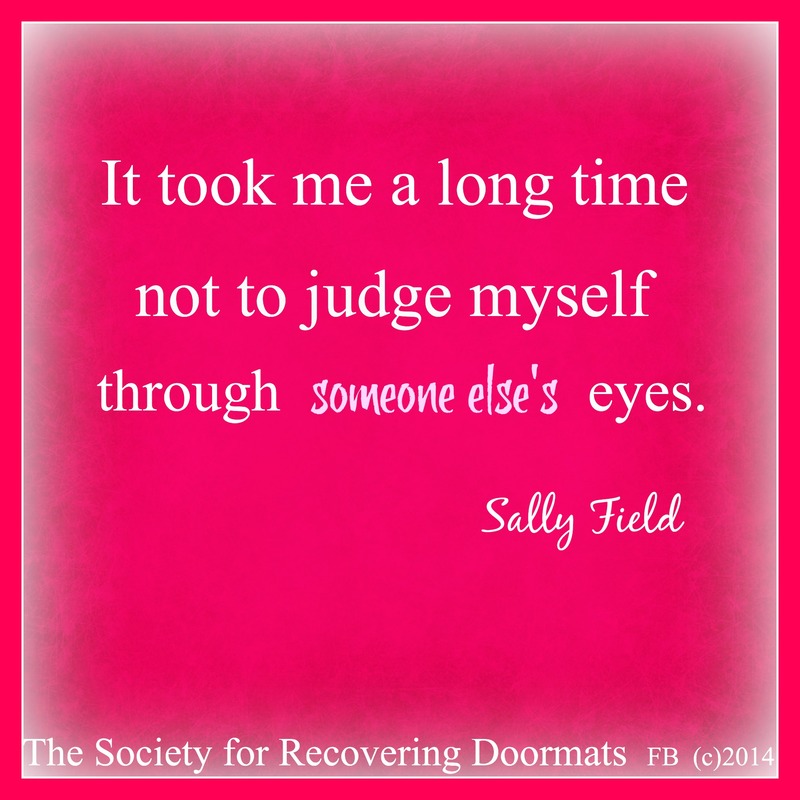 This quote by Sally Fields resonates with me because for so many years I had no idea of who I truly was. I was trying to please the whole world and be all things to all people. Yes, it took a long time before I could stop judging myself, stand in my own power. and just be. So good you get victory ! but there is much more then just to be! True Andrew. But accepting myself, AS IS, is the place I had to reach before I could even entertain the thought of being ‘much more.’ Sometimes, just being comfortable in my own skin is enough. Thanks for your comment. What a glorious awakening! Yay for you!!! For most of us, it takes a lot of living, a lot of losing, a lot of loving to wake up to how awesome we are. Better late than never, and second-guessing is a waste of energy when we could be having fun instead!